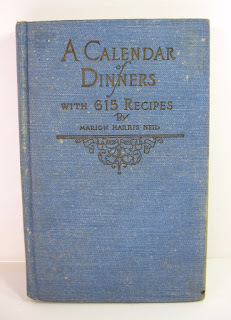 I was looking in my vintage cookbooks the other day and one that I haven't spent much time with is "A Calendar of Dinners" a Crisco sponsored cookbook from 1925. 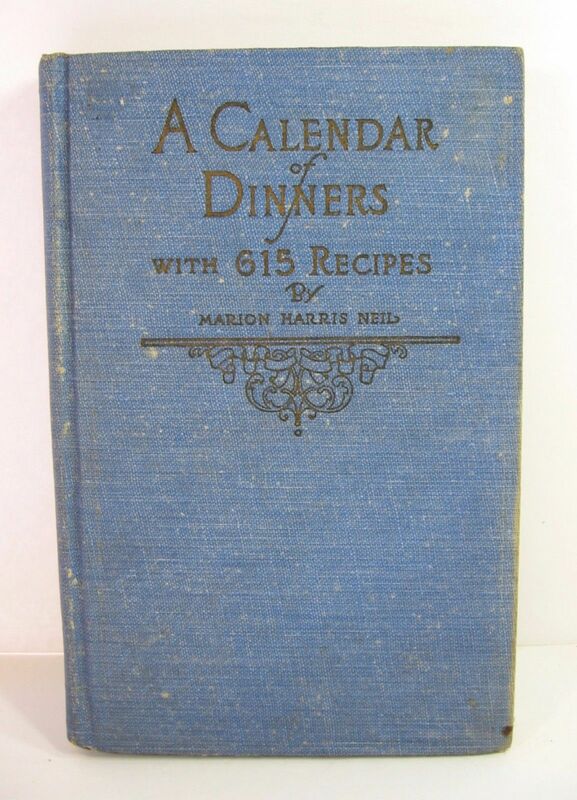 It has dinner menu plans for an entire year with recipes to go along with most of the items on the various menus. As I was paging through I found this recipe, now I've always been a fan of bread pudding but I rarely make it as a loaf of bread doesn't last in my house. This one intrigued me though for 2 reasons, first, I had all the ingredients on hand. It's a rare day that I find a recipe where I don't have to hunt for some ingredient. The second reason is because of the ingredients. It reminded me more of a Christmas dessert with the candied fruits and the steaming to cook it. Yes, here's the rub, this isn't a quick recipe it involves steaming like a Christmas pudding which takes quite some time. If you decide to undertake this recipe though you will have quite a unique dessert to serve at your table. I topped mine with some freshly whipped cream and it was very good with the flavor being very reminiscent of a fruitcake. For the ingredients you will need some candied peel which is easy to find at this time of year. I have a bunch in my pantry that I bought at half price after the holidays and since it's soaked in sugar syrup it keeps forever so ignore the sell by date. In a bowl combine the bread, raisins, candied fruit, brown sugar, lemon rind and butter. In a dry saucepan over med-low heat place white sugar and melt, stirring occasionally until it's a med brown color, do not allow to burn! Quickly add the milk and stir with a whisk to combine the sugar being sure to get all the bits off the bottom. Remove from heat before the milk can boil and pour over bread mixture. In a bowl beat eggs with lemon juice until light and add to bread mixture, fold everything together until blended. Preheat oven to 325° and allow pudding to stand 30 mins for ingredients to blend. Grease a bowl that will fit the mixture with butter and pour in pudding pressing down slightly. Cover top of pudding with a piece of greased parchment paper and place in a baking pan. Pour boiling water into pan so it comes halfway up the side of the pudding mold, place in oven and steam 2 hours. Unmold onto serving plate and serve warm or cold with whipped cream.